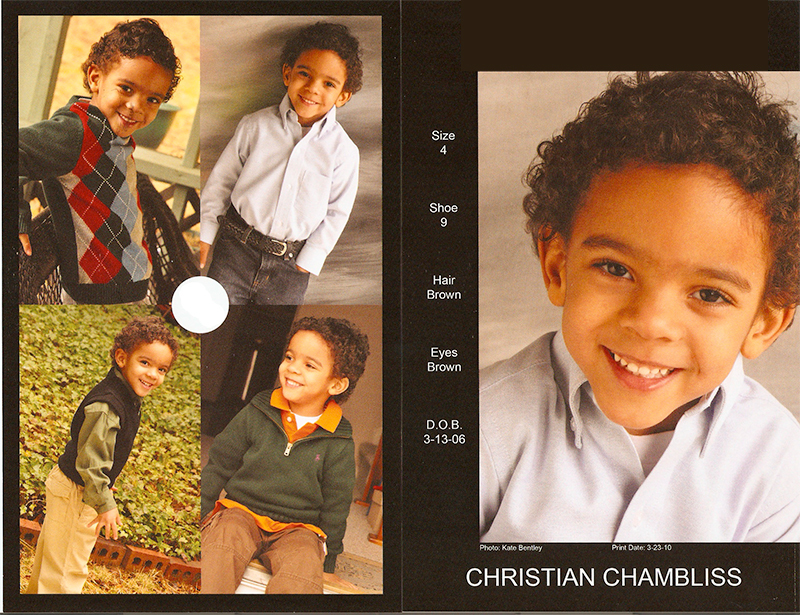 Cornelius started working on Tyler Perry's "Meet the Browns" before he was a year old. He's now in his third season on the show and has also worked as a stand-in for an upcoming pilot. Coy Hale of Ft. Wayne, Indiana and Dominique Wood have both appeared in commercials for the healthcare company. 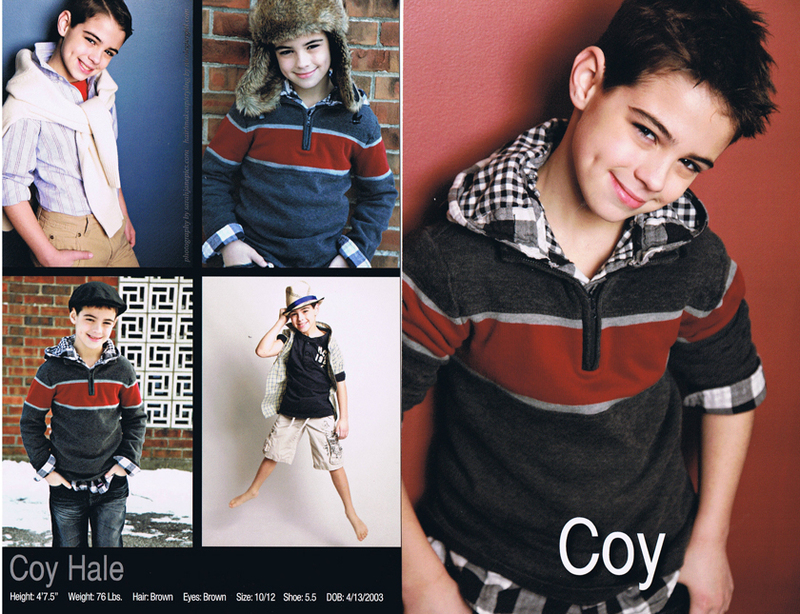 Click the play button to view Coy's commercial. Click the play button to view Dominique's commercial. 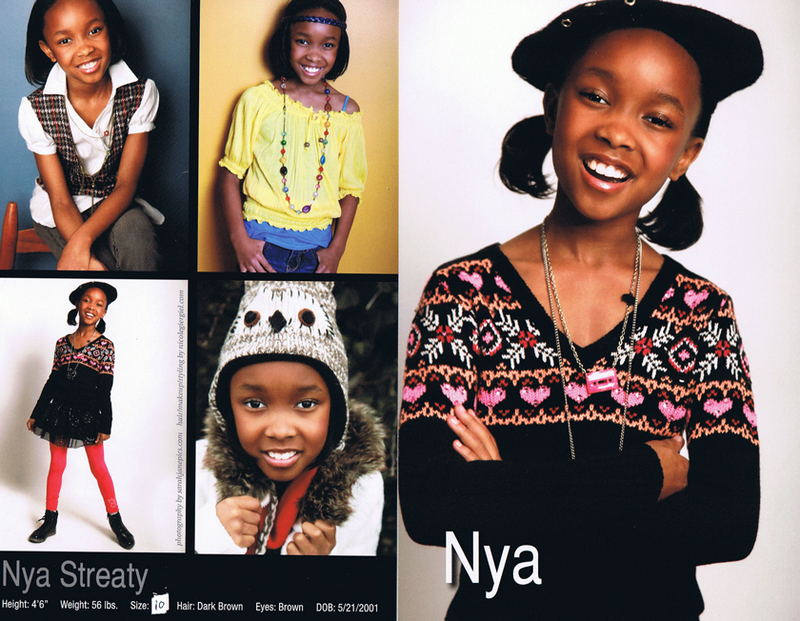 Kaelyn was discovered at a November 2012 event and was featured in several ads for Kohl's last year. 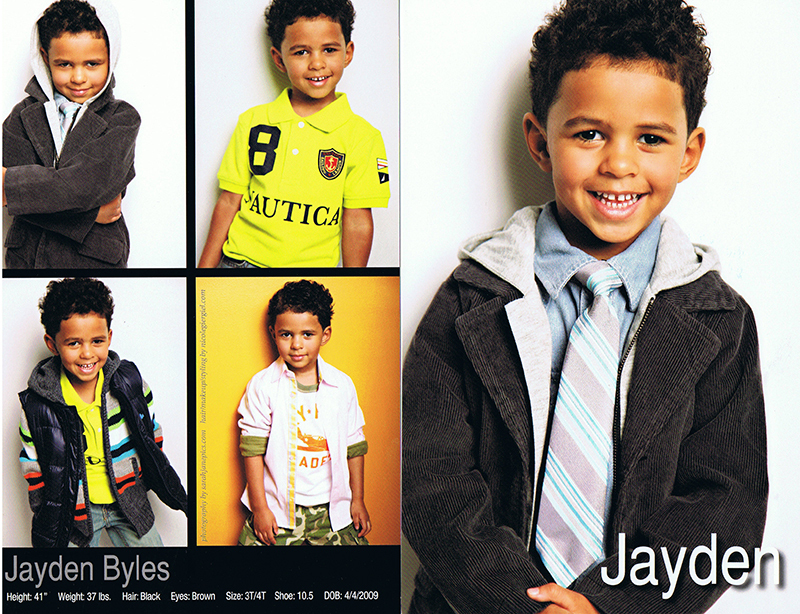 Congratulations to Roy Wood who appeared in an ad for Walgreens, Christian Chamblis who has worked for Macy's on numerous occasions and also appeared in a national commercial/print campaign for a new insulin drug, Myles Gordon who has been in a national commercial for Gilette and Jayden Byles of Belleville, MI who shot a video/print ad campaign for Vtech Toys. Click on the thumbnails below to view full-size versions of the images. 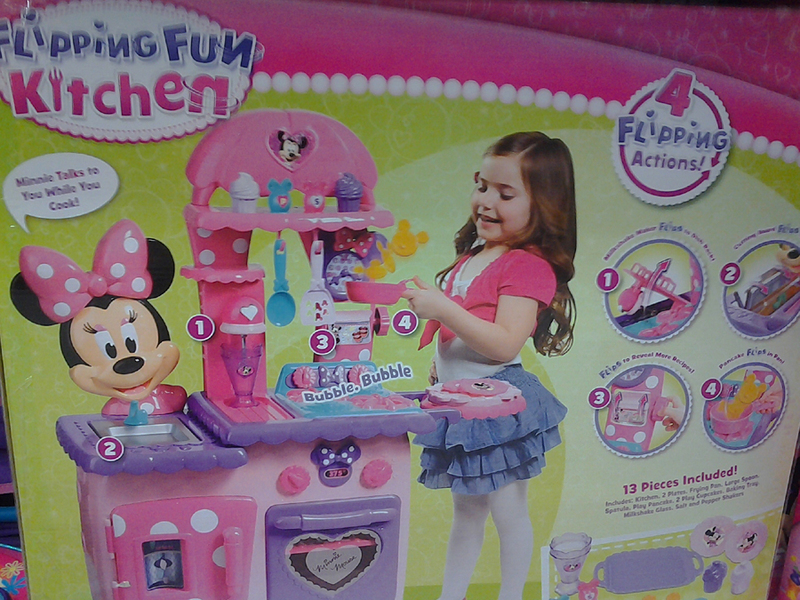 Congratulations to Coy Hale of Ft. Wayne, Indiana who appeared in ads for Kohl's, Nya Streaty of Muncie, Indiana who appears extensively in ads for American Girl and Bailey Lebo of Dover, PA who's booked ads for Target, Disney Toy Boxes and Avon One Tiny Tillia. Congratulations to Laila Kataou, Arica Surka, and Lauren Caldwell who appeared in store posters and in a Christmas internet ad campaign for American Girl. The shoot took place in Hilton Head. 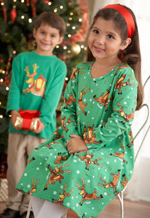 Laila and Arica will also be featured in the CW Kids Christmas Catalog. As a result of the search held in Los Angeles, California, Jimmy Summeral from Dallas, Texas, has appeared in commercials for Dunkin' Donuts, Advil and Prudential. Since the search, Nathaniel Wong has signed with an agent. 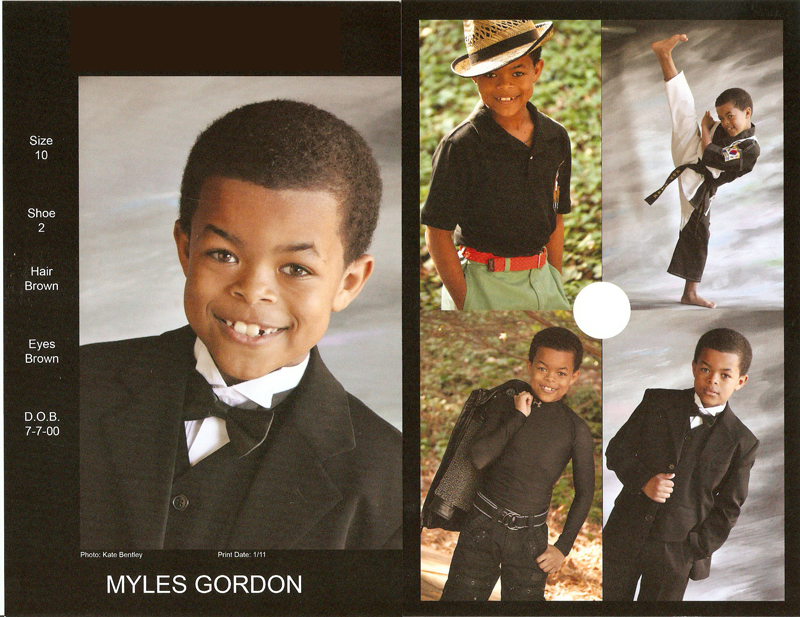 He auditioned for and secured a role in a commercial for the Mickey Mouse Club shot at the Los Angeles Zoo. Nathaniel will appear in a national commercial and on-line ad for Toys-R-Us. He also appeared on the Nick Jr. show, "Yo! Gabba Gabba."